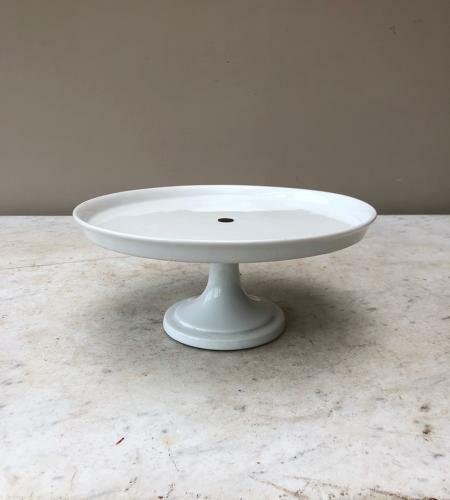 Mint Condition Edwardian White Cake Pedestal Stand. Perfect size for your Victoria Sponge...edge lip too so the crumbs stay on the plate! It measures 10" edge to edge but will hold any cake up to 9" across very well. Post wrapped well is First Class Signed for, for £9.95.